Ice Cream Sandwich Has an Easter Egg...The Wrong One! 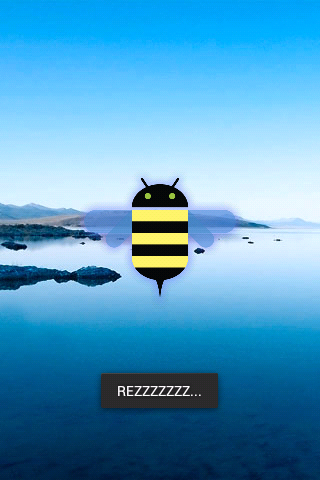 The Android team has followed the tradition of having Easter-eggs in Android. Just like the previous versions of Android like Gingerbread & Honeycomb, If you go to Settings > About Phone in Ice-cream Sandwich & press Android version repeatedly, you'll be shown an image related to that version of Android. On Ice-cream Sandwich though, the Android team forgot to change the image & you'll end up seeing a bee which was used in the previous version, Honeycomb. This is tried & tested on version 4.0.1 of Ice-cream Sandwich, let's see if they're going to change it to something ice-cream-ish by the time Galaxy Nexus launches.